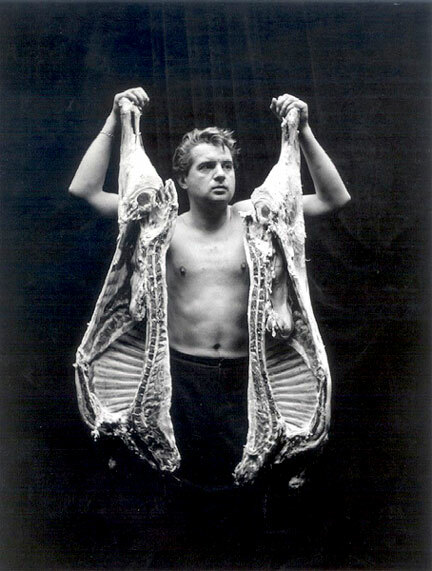 Francis Bacon John Deakin Vogue 1962 - Isn't this a fun one? Obviously the famous painting is the story here, but we've all seen it and it's burned into our memories. 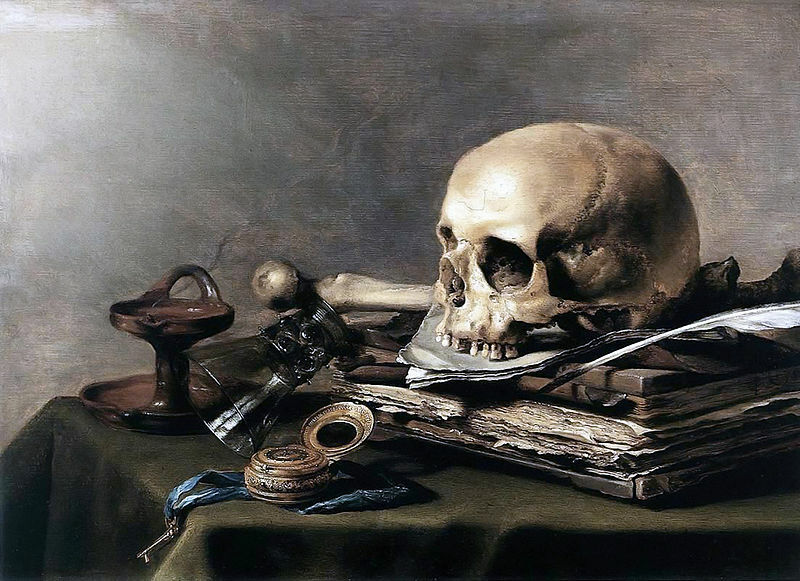 Pieter Claesz - Vanitas - Dutch Still Life Paintings are awesome - I caught a great show last summer in SF, mucho inspirations. 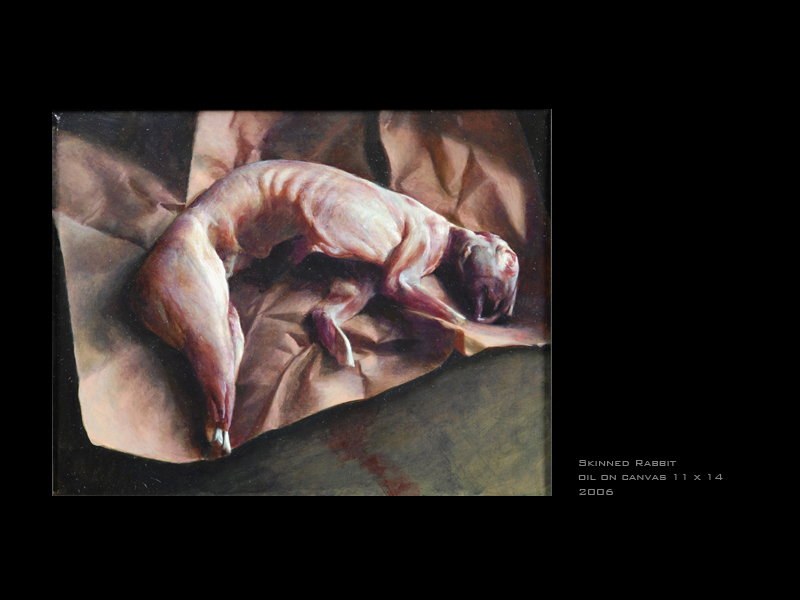 Skinned Rabbit by Michael Grimaldi - This man is a contemporary rock star painter - my favorite teacher ever. 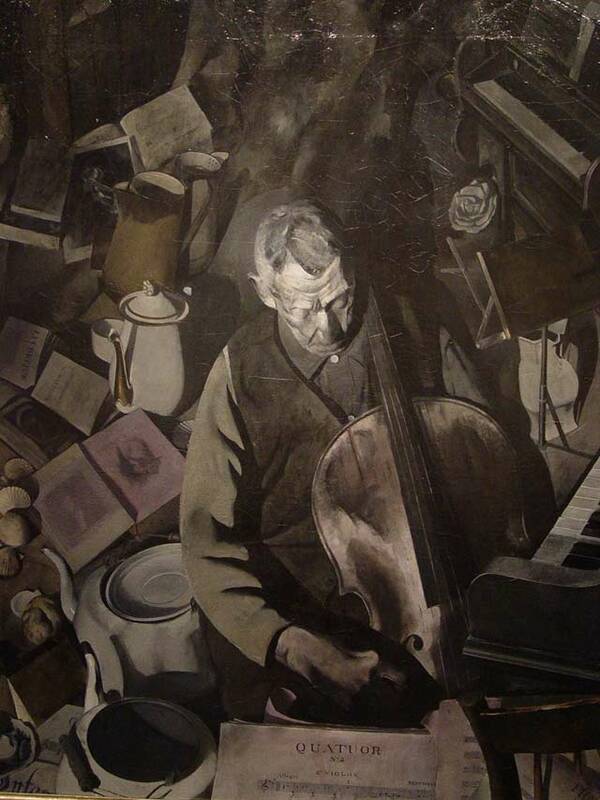 Edwin Dickinson - Cello Player - This piece is exactly the kind of cluttered tonal feel I want for the background elements. Antonio Lopez Garcia - My favorite painter alive today. I can't even put into words the things I love about this piece. 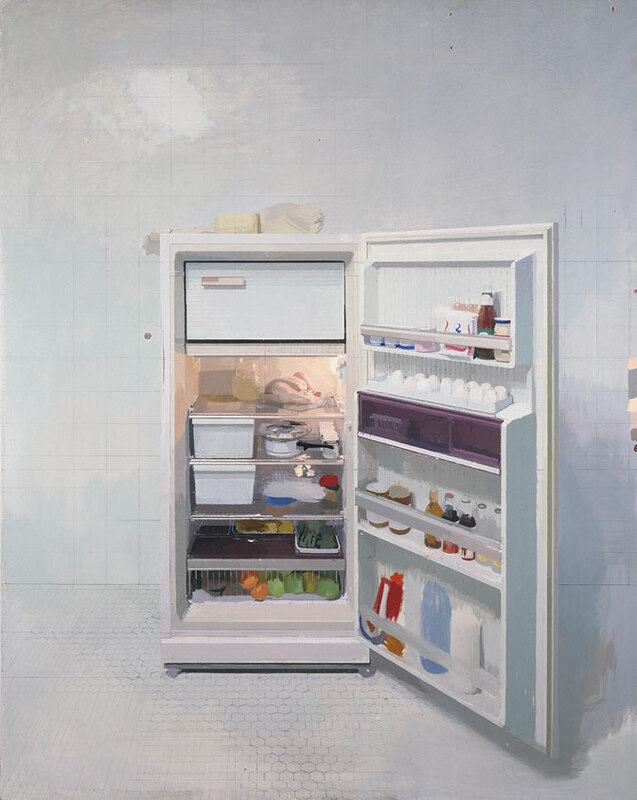 New Refridgerator by Anonio Lopez Garcia - Modern and Timeless. I love this post and can’t wait to see the finished work hanging in the restaurant. Also love the paintings you chose for inspiration. It expands my more language based, non-visual creative perspective. Thanks for sharing all the wonderful paintings/photographs by great artists. Each image so different and perfect in its own way. I am looking forward to seeing YOUR paintings at Smithfields while I eat some MEAT (probably NOT pig’s cheeks). LOL thank you! I can’t wait to see them too. Brush to canvas Wed!